Where we worked: educators. | Scuffalong: Genealogy. Where we worked: educators. 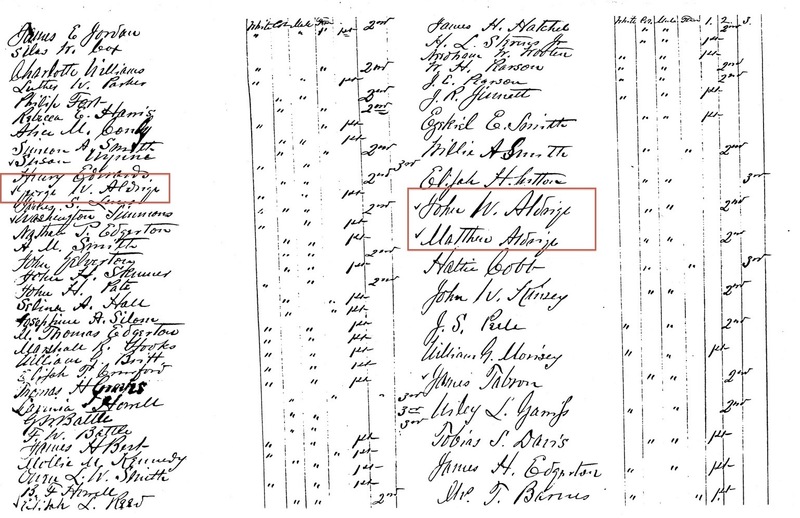 – Scuffalong: Genealogy. Henry W. McNeely, Mount Ulla NC — schoolteacher, circa 1870. Joseph C. Carroll, Wayne County NC — second grade teacher, circa 1880. John W. Aldridge, Wayne County NC — second grade teacher, circa 1880. George W. Aldridge, Wayne County NC — first grade teacher, circa 1880. Matthew W. Aldridge, Wayne County NC — second grade teacher, circa 1880. Henry E. Hagans, Goldsboro NC — principal, State Colored Normal School, circa 1892-1920. Clarissa Williams, Wilson NC — teacher, Eureka; Wilson Colored Graded School, circa 1890-1922. 27 May 1901. Miss Clarissa Williams re-elected a teacher. Tabitha Pace Brunson, Garland AR – teacher, circa 1920. Louise Colvert Renwick, Statesville NC — teacher, 1920s. Golar Colvert Bradshaw, Iredell County NC — teacher, 1920s-30s. Lillie Colvert Stockton, Statesville NC — teacher, Iredell County Schools, 1920s. Mamie Aldridge Abrams Rochelle, Goldsboro NC, Union SC — teacher, circa 1930-1960s. Arnetta L. Randall, Washington DC — teacher, Knoxville TN, circa 1930; Washington DC, circa 1940. Fannie Randall Dorsey, Washington DC — teacher, circa 1930. Vivian Manley Smith, Wayne County NC — teacher, circa 1930. Margaret Colvert Allen, Statesville NC — teacher, circa 1930. Marion Allen Lomans, Newport News VA — teacher, John Marshall School, 1935-1942. Daisy Aldridge Williams, Asheville NC — teacher, circa 1940. Mable Williams McCaine, Asheville NC — teacher, circa 1940. Price B. Brown, Salisbury NC — teacher, circa 1940. Sallie Bullock Brown, Salisbury NC — wife of Price Brown, “library work at school,” circa 1940. Oscar Randall, Chicago IL — mathematics teacher, DuSable High School, circa 1940. The eighth in an occasional series exploring the ways in which my kinfolk made their livings in the 19th and early 20th centuries. → Misinformation Monday, no. 4. ← The Randalls of Washington DC. I read many of the articles and was fascinated to find my Aunt Louise’s name appearing in many of them. Benny and I were very close and Lon reminded me so much of him. I grew up in Statesville, and as a child remember Aunt Louise talking about her sisters. I met “Miss Carrie” when she would come to visit, but I do not remember when she passed. I remember Charles coming to visit Benny when we were kids; he brought him by my house to meet. Sadly I didn’t see him again until we met at Benny’s funeral. Thank you for sharing. Wow!!! Benny named his daughter after my mother! My grandmother passed four years ago at age 101. My uncle Charles was visiting me just this past weekend, and we talked about the Renwicks, including your dad Chavis. Small world! Thanks for posting, and take care. Pingback: An educated colored man comments. | Scuffalong: Genealogy. Pingback: The question of a half-acre in Fremont. 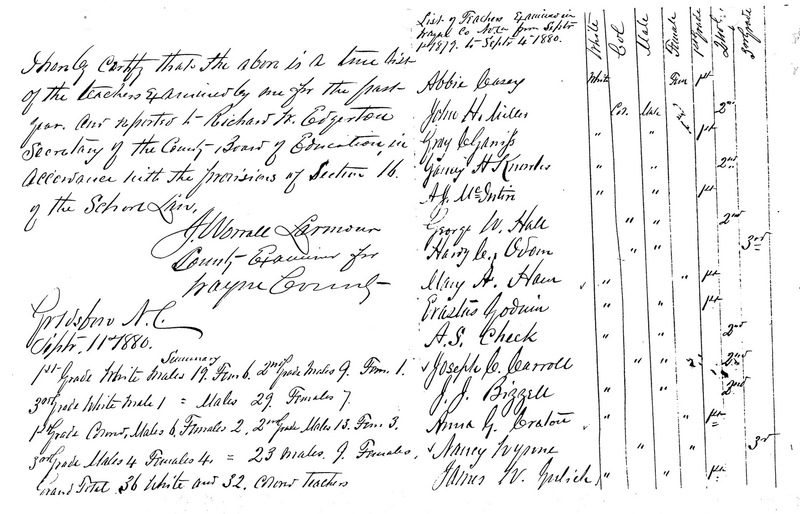 | Scuffalong: Genealogy.